Tiny and delicate or big and bold, there are so many floral prints out there and so many ways to bring a touch of floral to your style. 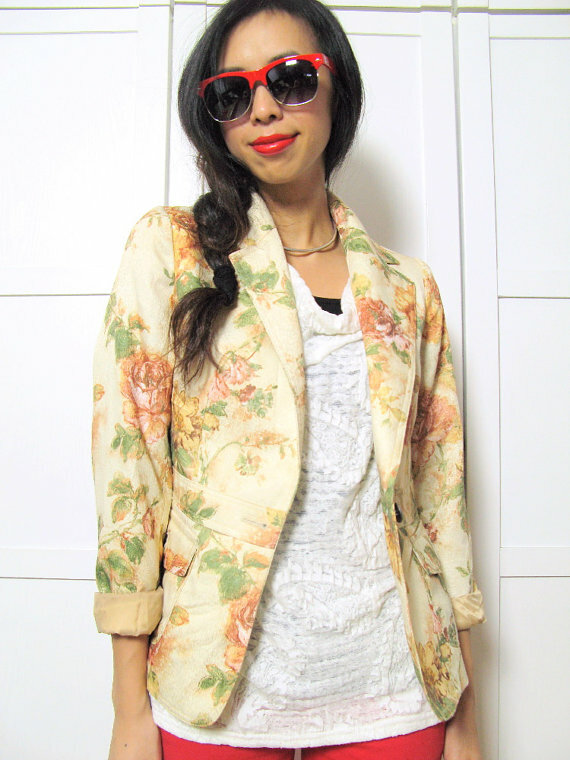 Floral prints have been a big fashion trend for 2012, with many designers and major retail brands creating virtually any piece of clothing and accessory in some floral form. So my feminine floral dress is pretty safe, and you may want to mix it up with more adventurous mediums such as a floral blazer, jeans or heels. And of course if you remember the 90s you'll know just how great denim and floral print go together – just like Salt-N-Pepa, like Guns N' Roses, like the Fresh Prince of Bel-Air and DJ Jazzy Jeff - denim and floral are a match made in 90s grunge heaven. Except back then I'd probably wear this same outfit with my steel capped Doc Marten boots as opposed to high-heeled wedges. 90s kids you know what I'm talking about! 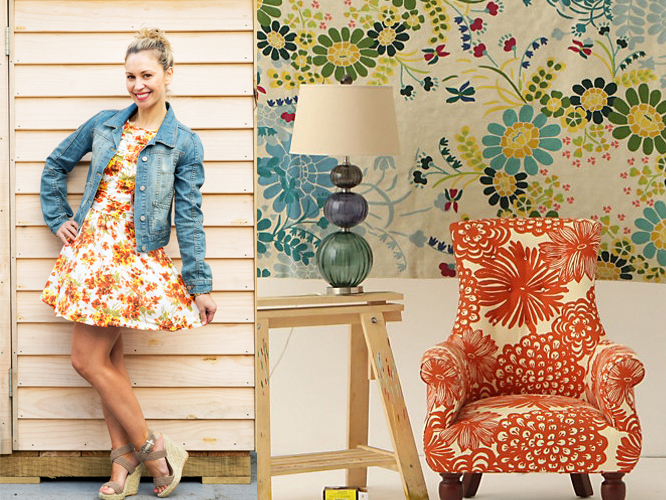 Although floral is hot right now in fashion it can be quite timeless in your home decor. I think floral chairs make fantastic features in any style of home, and they don't have to look grannyish. Talking about grannies I inherited my grandmother's floral teacup set, which I adore and it actually gets used quite often now that high tea is in vogue. 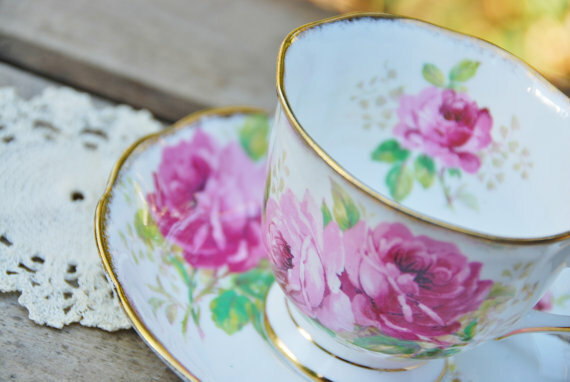 My set looks very similar to the below vintage variety, you can get these sorts of sets from most second hand stores or this particular one via Dad's Teacups on Etsy. One last thing, floral doesn't have to be restricted to spring and summer, team your floral dress with a chunky sweater and you can rock the floral look all seasons - or for New Zealand summers which can be quite cold anyway.